When Barack Obama won the presidential election in 2008 he made history by becoming the first African American president of the United States. 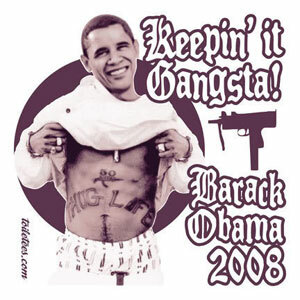 Many people have designed t-shirts to commemorate this historical achievement, but others have gone plain out ridiculous with the Obama name. 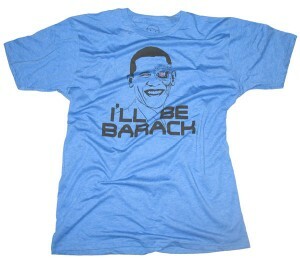 Here are our picks for the top 12 most ridiculous Obama t-shirts around. While he may not be faster than a speeding bullet, Obama has certainly been trying his best to do a super hero’s job in the white house. 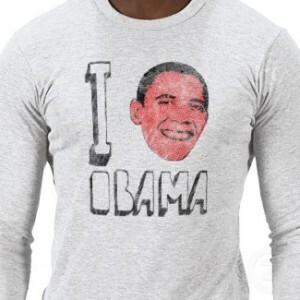 We know you heart Obama, but does his face really need to be red? When you compare Obama amongst our history of presidents, he really stands out in the crowd! 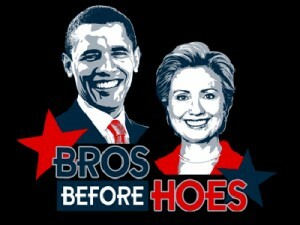 Playing off of a saying regarding partying hard and certain unmentionables….clever. We don’t think Hillary would approve of this. 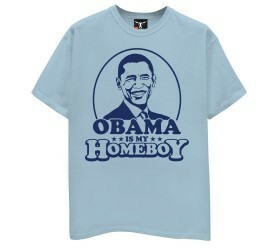 Jesus might be your homeboy, but make Obama your homeboy too! 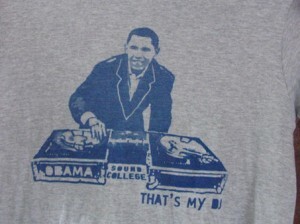 Obama ain’t no hip president unless he spins some sweet beats! The Governator’s got nothing on our President of the United States! Now we’re getting pretty ridiculous. 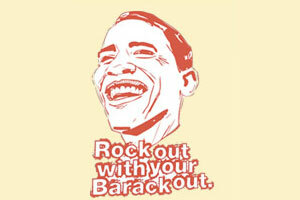 Homies be trippin when Barack rolls in the hood. 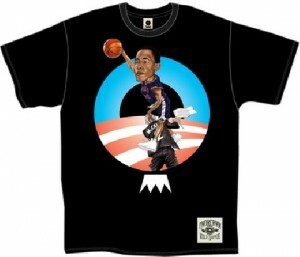 John McCain just got dunked on by President Obama! 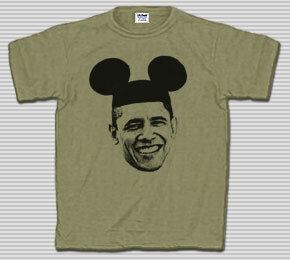 This is probably the most ridiculous Obama shirt you will ever see. 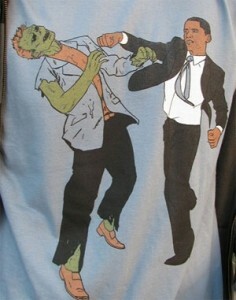 Barack fighting zombies? Really?